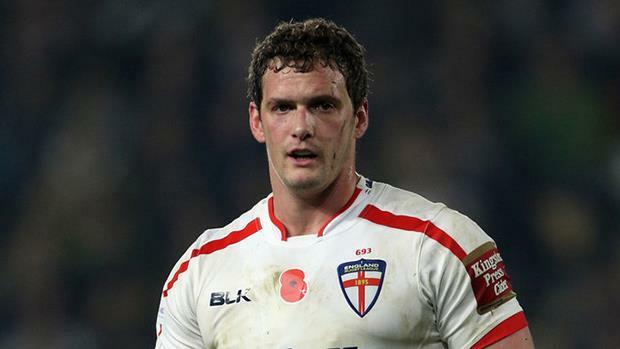 England assistant coach Denis Betts has hailed skipper Sean O'Loughlin as a crucial performer in their side heading into the Rugby League World Cup. Betts, a decorated former England captain who joined Wayne Bennett's coaching group last year, says O'Loughlin's consistency and big game temperament is an example for the other squad members to follow. "He gives you direction," Betts said. "He understands how to win the game. We need everybody competing for spots, so we need our intensity at training to be high, to hit the ground running. "We need our best players to play well in big games. And that's what 'Lockers' does well. When you look over the last few years, whether internationally or at club level, when he rolls out at a semi-final or final he's the best on the field. "That's what you want from (Josh) Hodgson, (Sam) Burgess, (Jonny) Lomax, (Mark) Percival and (Ryan) Hall. We need these players to be the best players. "When we run into Australia (on 27 October at Melbourne Rectangular Stadium), you know (Billy) Slater is going to be good, (Cooper) Cronk and (Cameron) Smith are going to be good." South Sydney's Sam Burgess and former Bulldogs skipper James Graham were given captaincy roles previously but Betts says O'Loughlin was always seen as the England's incumbent leader. "It was always Wayne's decision (to appoint the captain)," he said. "He made Sean captain when he first came on. Sean missed out on the Four Nations with injury, so gave Sam and James dual roles. I think they took it on board that Sean is the captain of this side and they always knew that." Meanwhile, Wigan Warriors halfback George Williams has revealed how Bennett has created a real sense of camaraderie since he joined the England set-up. Williams, who at 22 is the youngest member of the England squad, is enjoying the camp's relaxed nature. "I feel like that in 2015, when I just got picked, it was club orientated – you're with Leeds, Wigan (or whichever club)," he said. "It's heaps better now. You can text quite a few of the boys, it's a lot easier going."